 The Seahorse Hideaway is a lovingly cared for home that has been in the same family since it was built in the 70s. 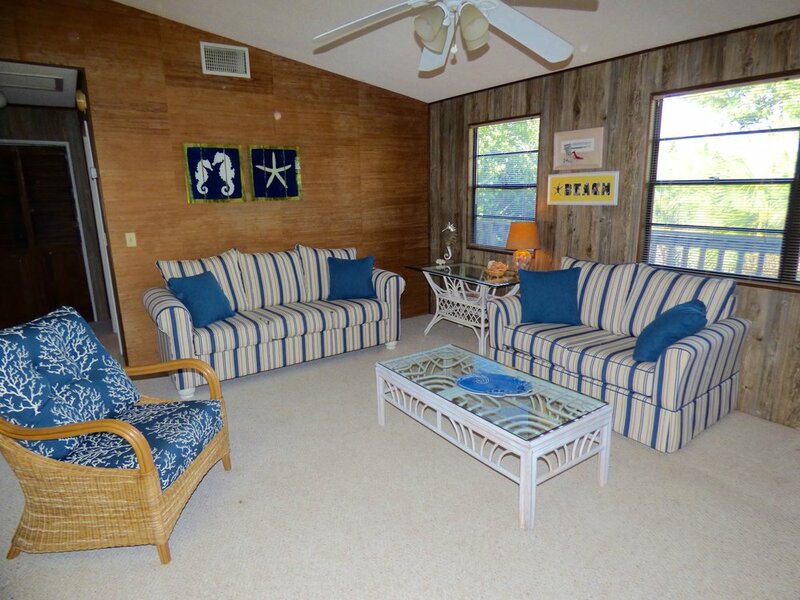 The home features 2 bedrooms, one with a king bed and the other with two twins. 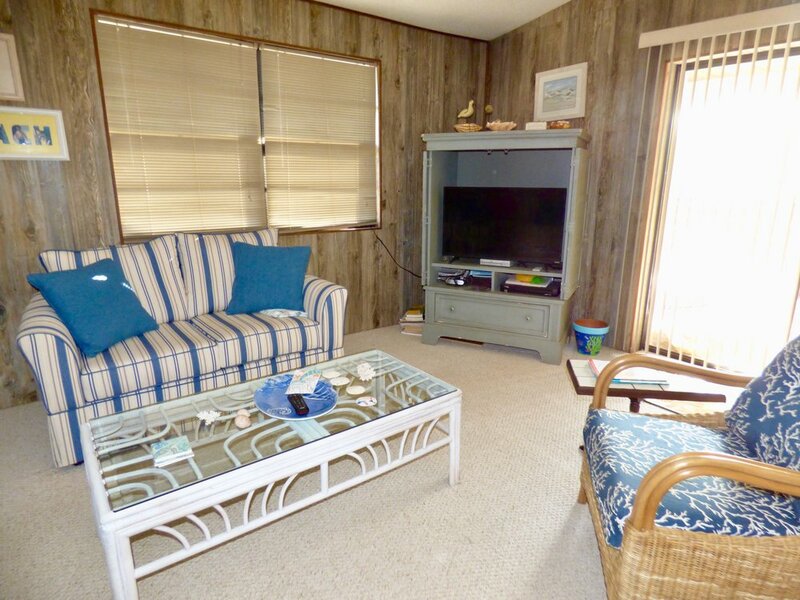 One of the nicest features is a comfortable screened porch that extends the full width of the home, allowing you to dine on the porch, watch the neighbors go by on their golf carts and enjoy the nightly sunset procession to the beach! 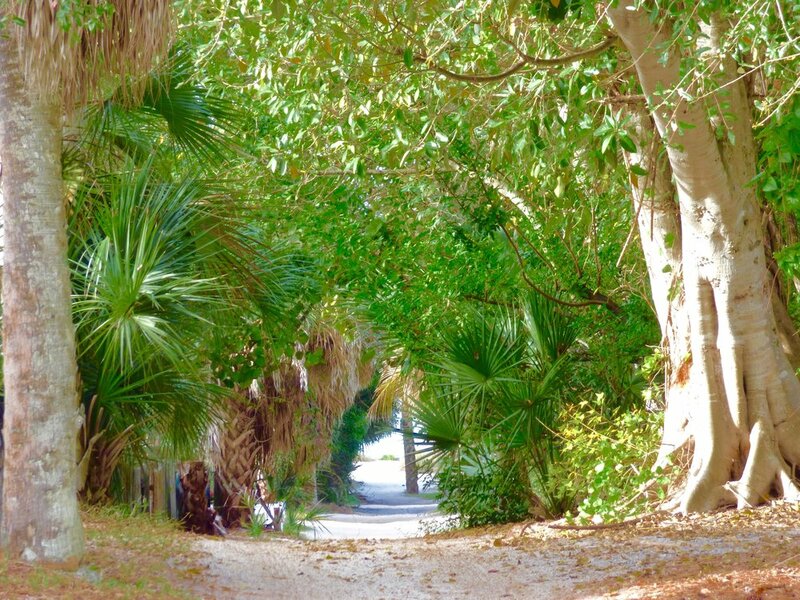 The home is a one-minute walk from the dock (Dock 26) and about a two-minute walk from the beach, so you are close to your boat (if you choose to bring one) and the beautiful pristine beaches of Little Gasparilla. The kitchen is well-stocked with all appliances and pots and pans and everything you need for your stay, be it a long weekend or a full month. The home also has a flatscreen TV, and is stocked with beach chairs, beach towels, an umbrella, a washer and dryer and a grill. 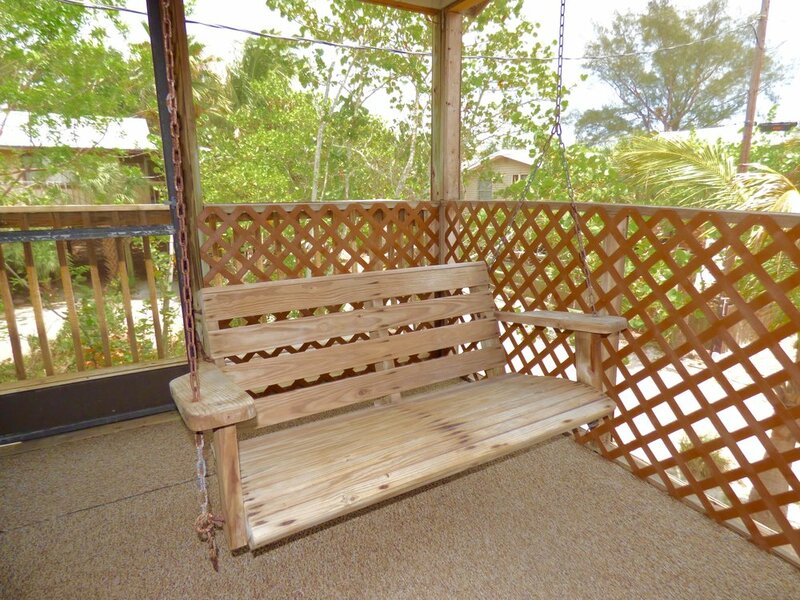 Downstairs there is a convenient outdoor shower and a comfortable hammock for relaxing in the cooling beach breezes. 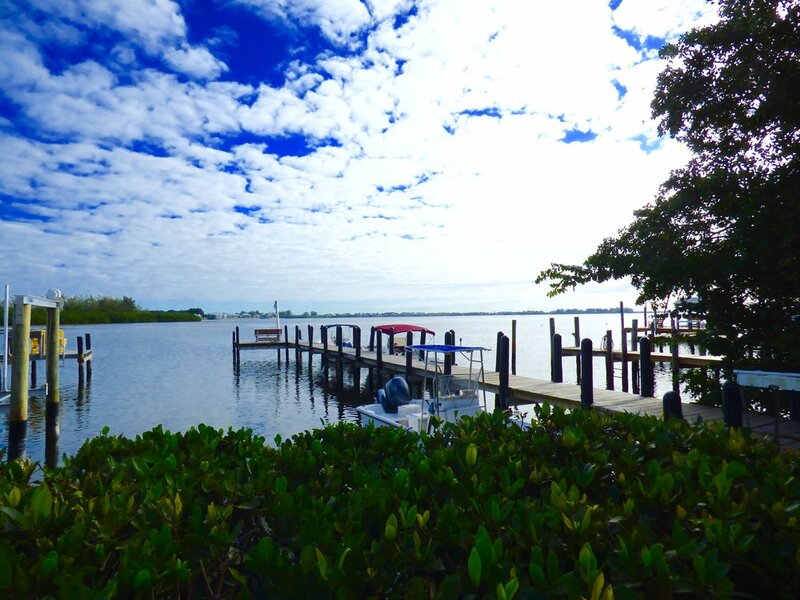 This home offers guests a free kayak or paddle board rental and a voucher for golf cart rental with a stay of one week or more!